In the first part of this blog, I covered how organizations of all kinds are increasingly adopting user centered Design Thinking practices instead of dreaming up features or digital products they think their users need. 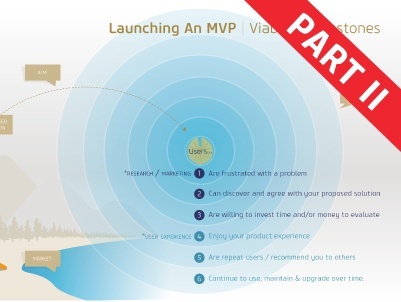 I then discussed the MVP Effort, Proposed Solution, and Aim steps of the infographic below. In this final part, we will be covering viability milestones during the post-launch impact stage, including how to track the milestone's using your metrics system and what warning signs to look for that could indicate you’re not hitting all six of them.